Competition entry by Atelier 16 with Ruxandra Costescu. 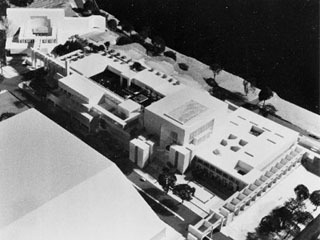 Proposed National Library and Centre for Research in Iranology. Competition Entry The complex incorporates a national reference and lending library, book collection and book preservation departments, various research departments, a public forum, exhibition spaces, a lecture hall and conference centre, staff living quarters.